DO YOU NEED A 1ST CHOICE DISPOSAL BIN? GENERAL BUSINESSES, No matter what your business is, if you have waste, we are your solution. Just schedule us when you need us, whether it’s weekly, monthly or infrequently, and we’ll be there to pick up your waste. PROPERTY/FACILITY MANAGERS, Not only can we provide weekly garbage pickup service, but we also provide bins when you need to dispose of a previous tennant’s leave-behinds before the new tennants move in. CONSTRUCTION/GENERAL CONTRACTORS, Construction jobs produce a lot of waste, while most sites provide no disposal service. 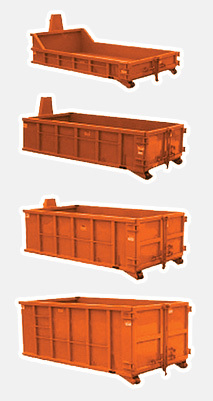 Rent our bins throughout the tenure of your job and depend on us to give you a place to dump the waste worry-free. HOMEOWNERS, Whether you’re cleaning out that overflowing basement, stuffed up attic or a garage that used to hold two cars, simply stuff our bins with your waste and we’ll take it away, never to be seen again. REAL ESTATE AGENTS, Sometimes your clients don’t know the first thing about making a great impression. If you need to help them de-clutter for their first open house, we can help de-clutter your schedule with prompt service. MANUFACTURING INDUSTRY, From waste product to packaging materials, we know how much of a demand there is for reliable service in the manufacturing industry. Our customized contract solutions are an ideal fit. IT’S AS EASY AS 1-2-3 WITH OUR READY-SET-GO PROCEDURE. When you need them delivered, our bins are always READY. We are happy to come and give you a free consultation to ensure that we’re ready when you are and there are no surprises. Dump all of your junk inside our bins whenever you’re SET. Whether you need a day, a week, a month... we’re flexible so you can get rid of your mess with no worries. When you’re done, we’ll pick up our bins and GO. We will pick up our bin and take it away, leaving you with no marks or damage at all. No matter what size you require, we’ll make sure to accommodate your needs quickly and affordably.